The big brother to the W2700 / HT3550, the W5700 / HT5550 projector from BenQ is starting to get early hands-on impressions and press. Final price and launch date is not yet announced but I've been informed price tag will be suitable for this category that this thread falls under; sub $3k. Mike Butny, owizard, sage11x and 3 others like this. Last edited by scottyroo; 02-14-2019 at 09:13 AM. There sure is a lot of different info circulating on this ... I saw the lumen spec as 1800, 2000 and 2200 Apparently nobody knows for sure. I'm seeing the same thing from the exact same sources. One reviewer measured its max brightness at 2,169 though so there's that. I've been in contact with BenQ and they have also confirmed rated 2,000 lumens though. BenQ has a good track record of real-life measurements being close to spec. jumguf and jpbonadio like this. So besides the lens shift and maybe a couple hundred lumens, what does this bring over the 3550? Obviously the lens shift is a very nice feature but it doesn't seem to justify an approximately 1k price premium. From what I gather, a higher quality lens, components, and overall build. 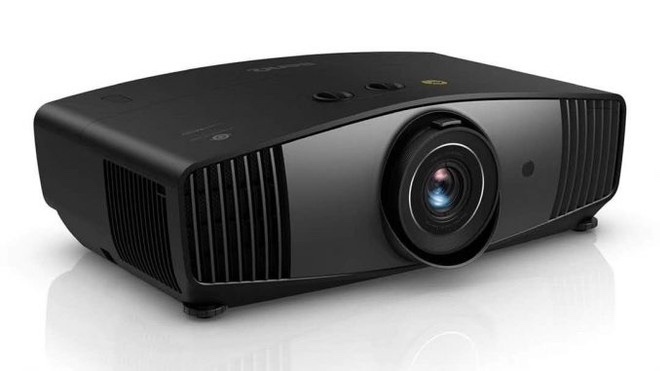 In addition, pro-channel projectors such as the Epson 4040/4050/6040 are hundreds, if not thousands, more than their mostly identical white-colored counterpart due to an included bulb and the service that comes with coming from the installer network. First impressions from ISE in Amsterdam seem very favorable so we will have to see what full reviews say and determine if that justifies the price increase. We don’t know the NA price of this yet. I don't want to ask too much, but would it be possible to share your translation of the Italian eye-witness report between the W5700 and Optoma UHD 65? I find the design of the W5700 much more appealing, add to this I'll most likely need to have its extra lens shift range (compared to the W2700). However, the German reviewer noted for the W2700 that the Creative Frame Interpolation (FI) didn't work properly on the prototypes. I just hope BenQ will have sorted this out for the W5700 release and hopefully provide several settings (I'm not too confident, though, TBPH). As this is a feature very important to me (and rock solid with the Optomas that have it), I'd hate the idea of instead waiting for another Optoma that will feature real lens shift and similar performance. Now if they would just put power lens memory in one of these DLP's they might just give JVC and Epson a run for their money. The comparison between BenQ W5700 and Optoma UHD65 is even more exciting. Here, the comparison of the (color) gamut is even more evident..the colors are at maximum saturation. In the (Benq) image (of the Marvel logo) we can immediately tell a clear difference in the wider gamut in the red spectrum. On the right (image) there is (also) the same (big improvement) in contrast ratio, which the Benq model is always better at. The Benq model also perhaps appears slightly less luminous by approx 10%. The Dynamic Iris is very fast, as is the dynamic management of the tone mapping with the iris position. Unfortunately, the limited time available did not allow me to verify the functioning of the auto tone mapping, a detail that I will verify as soon as i test the unit. These are pre 1.0.0 FW units being demo'd. I am testing a 1.0.0 W2700/HT3550 unit right now and BenQ had informed me it took a day or two longer to get the unit to me to get sample units to reviewers to rectify this CFI issue. I have tested CFI on the HT3550 and it works great for what I like it for; sports. It also has a 1.6x time zoom versus the 1.3x on the 3550. Last edited by robl2; 02-15-2019 at 05:04 PM. With all the hype the little brother HT3550 aka W2700 is generating, I find the lack of information regarding the HT5550 aka W5700 somewhat disappointing. Official release date for the HT3550 is February 25th, do we already have one for the HT5550? I'll second that. I'm looking to replace my W1070 with this HT5550/W5700 - primarily for it's throw-friendly specs to use with my A-lens. I need it so I don't have to replace my current short throw. Since that one is LED I can use it for casual viewing. One interesting thing, to me, was the number of hours I have put on the LED in almost four years; 3750. Since this projector, if it is like the 3550 and has ECO 10,000 hrs bulb life, won't be a problem not being LED or laser. We'll see. Not necessarily. AFAIK there's no installer channel base here in Europe, so you might want to focus first and foremost on reviews of the "W5700" (Euro designation) to get an idea how the "HT 5550" (US designation) will perform. IIRC the official BenQ presentation will take place in NYC today, so I guess I'll be back in a couple of hours to read how that's been going. I've not found any (more) news about this model yet. Hopefully soon! Any update on this projector? It seems like it might be a 4K spiritual successor to the old W series. I still love my W7500. It is shelf mounted at the rear of my theater room with about a 16' throw onto a 120" 2.35:1 screen. I use zoom for constant height between 16:9 and the wider aspect ratio. So the vertical shift is mandatory (horizontal is handy as well occasionally) for me. Great brightness, sharpness and the blacks are perfectly adequate for my less than perfect light control. I'm starting to itch for 4K,HDR,etc... but I don't want to give up 3D in the process, and I need the placement flexibility that my W7500 currently provides (without the cost of the HT9050, 9060). Eagerly waiting to hear more about this one. Noticed a little error in the specs. Obviously the HT5550 is not 349 mm wide and 492 mm deep but 492 mm wide and 349 mm deep! The illustrated lens shift capabilities look rather crude and only convey a general idea, a user manual will come in very handy, to determine what placement flexibility we will really get. Green Chemist and scottyroo like this. Also can't find a manual yet (unlike the 3550), so it doesn't look like it'll be out really soon. End of April 2019 is the estimate of the French reviewer, I assume that figure to be reliable for Europe. According to his ISE impressions - http://www.passionhomecinema.fr/blog...tion-ise-2019/ - he "fell in love" with the W5700 (HT5550). Mais mon coup de cœur, c’est le W5700. Il est plus cher mais dès qu’on passe du W2700 au W5700 (ou encore à l’Optoma UHD65), l’image passe à un autre niveau, dynamique, précise, fluide avec des couleurs naturelles et saturées et surtout un excellent niveau de Noir. Translation attempt: The image reaches another level, dynamic, precise, fluid with natural and saturated colors and throughout excellent black levels. After what I read about the HT3550 (W2700) the anticipation for its big brother is killing me here. CallingMrBenzo and robl2 like this. That is a great looking pj and the specs look promising. Thanks for the info Frank. I keep reading on these non-English sites that these puppies can handle HDR10+, but I've yet to see this in any official literature? I'm guessing it's a mistake. Anyone know? The French reviewer Grégory suggested no more, he (correctly) wrote "HDR 10, HLG"
Can't help to think that it might be a smart move of BenQ to release both new models simultaneously. As I expect demand for the HT3550 to be very high on release day, releasing the HT5550 simultaneously could take off some pressure of the HT3550 (but then again, I definitely prefer the HT5550 to be thoroughly checked and ready, before being released prematurely with bugs). Last edited by Frank714; 03-01-2019 at 05:50 AM. The HT5550 is only going to be sold through BenQ's dealer network. It is not going to see the wide retail release of the HT3550. -- Excerpt from the Hitchhiker's Guide to the Galaxy. I see now that the official lumen spec says 1800 ... Kind of sad, really. Looks like this will be my next projector. Need some placement flexibility, so the W2700 is unfortunately not an alternative. It says in the specs that color wheel speed for 2D is 96Hz, 100Hz and 120HZ. So it should display 24,25,50 and 60 fps without judder, right? Last edited by Nordvarg; 03-02-2019 at 10:11 PM. Same here, seems like my desperate search for successor for my trusty warhorse Benq W5000 is finally looking promising. I have checked so many projectors in the past few years with disappointment one after another. I need also placement flexibility my W5000 offers and this one looks similar allowing me to place in on high shelf. I see these also come factory calibrated with calibration report, it would be interesting to see first review how well it is done. It would surely save me from many sleepless nights calibrating my projector. Only thing based on the specifications looks a bit peculiar to me, is that despite of its size almost same as W5000 it only weights 2/3 of that, so hopefully it is not clunky noisy plastic toy what many products today tend to be. I also wonder how well this compares against W11000 or X12000 which seem also very nice and heavy machines but unfortunately those things are too deep for me so it would cause too much placement issues, and obviously those are somewhat older technology anyway, but definitely look build like tanks. I don't even mind this being a lamp based projector, if lamp life is anything similar to W5000, where lamps last very well. I can't wait to see first good reviews of this model. Last edited by Big Lebowski; 03-03-2019 at 05:34 AM.